Neat 3B® products are available to order from The Antiperspirant and Deodorant Company and other leading retailers. A tried and tested formula designed to help prevent sweat rash and chafing between the breasts, buttocks and legs, Neat 3B® Action Cream is Australia and New Zealand’s #1 selling preventative cream for chafing. 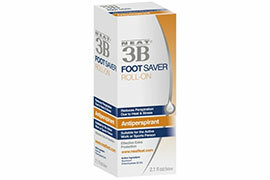 Neat 3B® Face Saver Gel is a highly effective lightweight antiperspirant gel designed to treat excess facial sweating. This doctor-developed antiperspirant formula helps reduce foot perspiration, decreasing foot odour and sweating and preventing the growth of fungi, including athlete’s foot. The roll-on applicator makes this deodorant easier to use than powders. 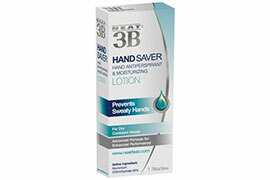 Neat 3B® Hand Saver Lotion contains an antiperspirant active ingredient in a moisturising, protective, cosmetic base. The product helps to prevent excessive hand perspiration and assures the user of dry, confident hands. Neat 3B Hand Saver Lotion also has deodorant properties.